The Apple TV remote control has seven buttons. Those seven buttons control all of the functions on the Apple TV. The buttons have a satisfying click and can be navigated easily without looking. The remote is hewn from a single piece of aluminium that feels cool and solid. The infrared signal is cast wide, so you don’t have to aim it. This is a physical remote control done right, and an example to others. Simplicity. Quality. Utility. Those are the features every remote control needs. Very few get it right. Apple TV’s remote control is one of them. It takes almost no time to learn, even for people who don’t use the latest consumer technology. It feels durable, it doesn’t creak or bend or wobble in use. It does everything it needs to do and no more. Compare it with a typical TV remote control. Perhaps you could pick up a remote control near you. Look at all those buttons! Behold, there are numbers, letters, colours, lights and perhaps some hieroglyphs. The buttons wibble and squish in their sockets, the whole plastic baton creaking as you wield it. There’s a button for every function, but you’ll need your reading glasses to find the right one. The typical remote control is complicated, of poor quality, and so abundant in its utility that it goes full circle and ends up back at useless. 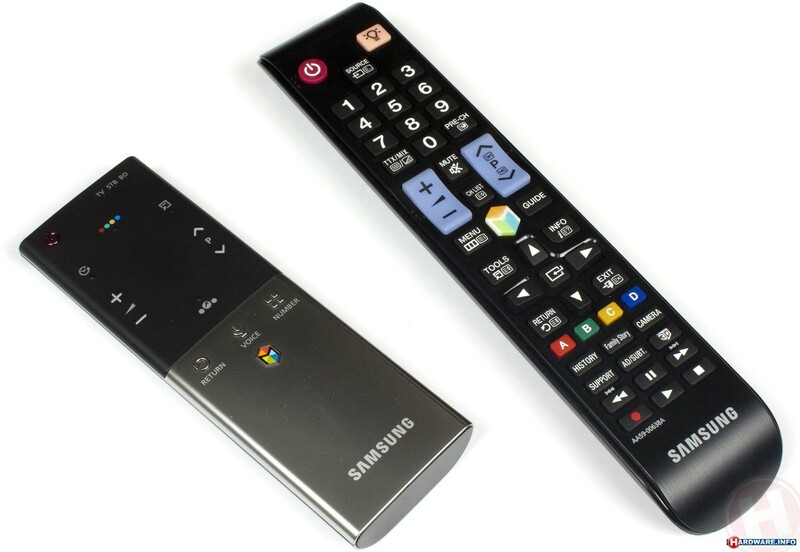 In fact, many TV manufacturers such as Samsung and Panasonic have recognised that their packaged remote controls are too difficult to use and so have partnered them with smaller, simpler versions that can control just the basics. Of course, if you need to do anything that the mini remote cannot do, you will need to revert to its bigger brother. The Apple TV remote control isn’t perfect. Here are three things it could do better. Teach the user “hidden” functions. A long press on the Menu button takes the user back to the home screen. While on the home screen, a long press on the Select button allows you to move the currently highlighted icon and a long press on the Play button puts the Apple TV to sleep. There are no cues on the remote itself or in the Apple TV software that these opaque functions exist. Apple TV could feature a tutorial guide that teaches the user about long-press interactions. Solve the problem of text entry. Entering text on the Apple TV is the most painful thing about using it. Without a physical keyboard on the remote, the user must move a cursor on the screen to select letters one-by-one. It’s slow and inaccurate. 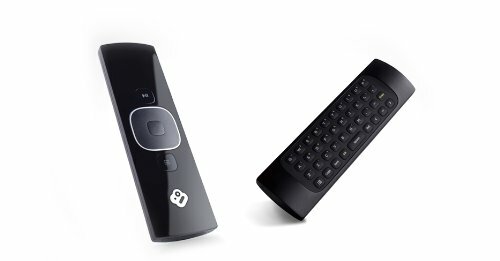 Short of building a physical keyboard into the underside of the remote, like the Boxee remote, Apple could improve Apple TV’s software to include a better virtual keyboard, predictive text or even speech-to-text. Get ready for gaming on Apple TV. Two extra buttons on the opposite end of the remote control would turn the remote into a simple game pad when turned 90°, similar to the original Nintendo NES controller. A lot of people assume Apple will one day enable app support on Apple TV, and that this will open the door to games. Games need a good physical controller, and the Apple TV remote is one step away from being an essential gaming accessory for Apple’s little black box. 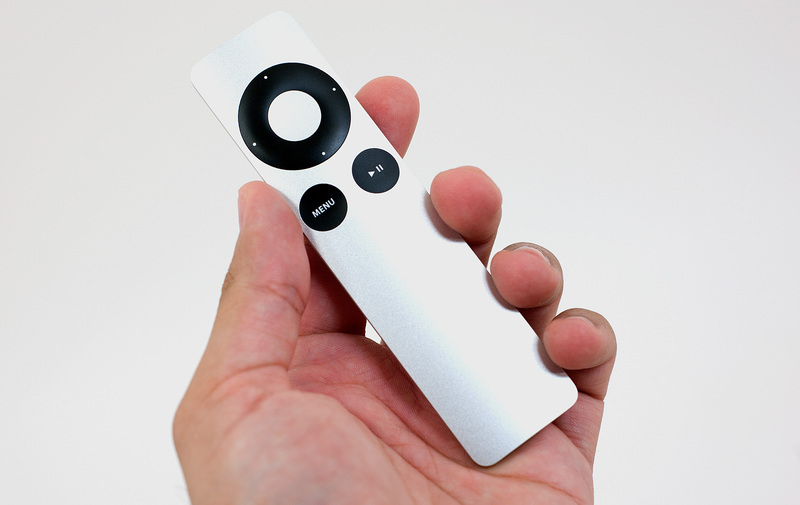 Despite the room for improvement, Apple TV’s remote control remains an example to others.